With Tucson the 33rd largest city in the United States, having a population of just over half a million,, it has many opportunities for continuing education in online marketing. As part of our directory of SEO (Search Engine Optimization), social media marketing, and marketing (generally) opportunities for adult learners, here are our selections for continuing education in marketing in the Tucson area. Please note that we can provide corporate training on these topics by custom quote (minimum of 5 participants). Free Directory. Use this free directory of Tucson continuing education programs in marketing to find possible SEO, Social Media Marketing, and/or AdWords training classes. Be advised that all programs and schedules are subject to change without notice; the JM Internet Group assumes no responsibility for listings in this free directory. Small business owners and marketers, entrepreneurs starting their own businesses, and even non-profits can (and should) avail themselves of free Internet marketing opportunities ranging from Google / Bing optimization to Facebook or Twitter marketing to simple tactics to use “real world” marketing to improve their performance. We at the JM Internet Group are all about learning and doing… If you know of a continuing education opportunity in the Tucson area, please contact us for free inclusion (non-profit organizations, only)! Pima Community College offers a course on ecommerce. Introduction to conducting business on the Internet. Includes electronic commerce terminology, locating information, business applications, legal issues and security, and web site components and connectivity. Also includes marketing on the Internet, career opportunities, future developments, and building and operating a successful e-commerce store. There is also a course on entrepreneurship: Overview of entrepreneurship, providing a sound base for understanding and application of entrepreneurial activity. Includes the entrepreneurial process, accompanied by the skills necessary for success, including without limitation, idea generation, planning, ownership and control, financing, marketing, technology, and management. The University of Arizona offers a course in Basics of Marketing with Social Media. Another is on Marketing with Google and YouTube. There ar also several courses on Microsoft, such as Excel, Powerpoint, Access, Word, and more. There are also three Web Design and Development courses. Also, check out the University of Arizona Continuing Education site. Tucson Adult Learning Adventures has courses in computers and technology. The staff at the Tucson Senior Classroom Technology is proud to introduce you to an opportunity to learn the basics of modern day computer, tablet and smart phone technology. We have technicians available to assist you in developing the skills needed for the modern day computer and social media technologies. Our classroom presentations are all provided by our technicians at no cost to you. Eller College of Marketing at University of Arizona has a Masters Program in Marketing. There are classes in high technology marketing, high tech innovation, and advanced market research. 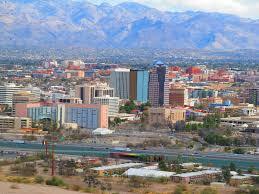 Tucson is some 625 miles from our location in San Jose, California. With plane fares estimated at $250 round-trip, plus workshop time of 8 hours and 1/2 hour of preparation time for each hour of instruction… assuming you have a group of at least 5 persons, an in-person, private workshop training in SEO / Social Media / and/or AdWords would run roughly $750 plus expenses. So your options are to either use the continuing education resources listed above (be sure to check their course catalogs for course offerings, as these vary over time), to use online training, or to contact us for a private workshop. We also provide one-on-one training online. Here are some fun facts about Tucson. The city has 350 days of sunshine a year, making it one of the sunniest in the US. There are more species of bird in Tucson than anywhere else on earth, save for the Amazon rain forest. Quarter Horse Racing was born at Rillito Downs in the 1940’s. The downtown bus station was named after the family of singer Linda Ronstadt. The Pima Air and Space Museum has more than 300 planes on view – and is privately funded. Fort Lowell Park is on the site of the old army fort where original settlers fought against the Apache. The Tucson Gem and Mineral Show is the largest of its’ type in the US. Popular Congress Street used to be called Maiden Lane – not that you would find many maidens there! This entry was posted in Directory and tagged Arizona, Directory, Tucson on May 18, 2015 by James Smith.